While being one of the most useful business tools ever invented, email can also be a hinderance. Because of its generally open nature, when anyone can get an email address, criminals have taken their operations online in the form of email frauds or scams. 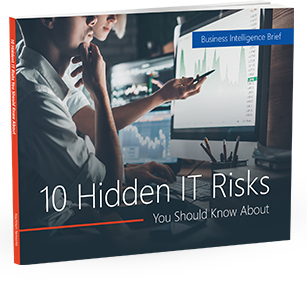 This can be a big issue for business owners, and knowing how to determine if an email is legitimate or not is important. One of the easiest ways to spot a fraudulent email or scam is by looking at the email address of the sender. Many credit card application scams use third party email services like Gmail or Yahoo. 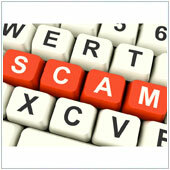 Some scammers go so far as to set up accounts in the name of the company e.g., AMEX_121@gmail.com. If you think an email is fraudulent, try looking up the website associated with the sender. Should you be unable to find the site, it’s likely a scam. Many scammers will put phone numbers into emails to make them look more legitimate. If you are unsure about whether this email is legitimate or not, why not try calling the number? Many scammers run more than one fraud operating at the same time and may answer the phone with another name, or not at all. It’s kind of an unwritten rule that when sending out emails you never ask for a person’s credit card number or account passwords. Banks, large companies and many social networks will never ask you for passwords or account information, credit card numbers, pin codes, etc of any kind over email. If you notice that an email selling something asks for you to reply with a credit card details so you can make a purchase, it’s best to delete the email as it’s likely a fraud.